As we edge further into 2019, is yours a glass half full or half empty for your sector? That probably depends to some extent on whether or not you have decided to partake in dry January this year. Drinking preferences aside, the challenges for the New Year when it comes to executive hiring both in the UK and internationally are clear to see – moving beyond Brexit and the impact of recent advances in technology are hurdles that must be overcome. How well businesses manage each of these will dictate how smoothly they can transition and grow in 2019. As things stand, nothing materially has actually happened yet with Brexit. We are still living in a ‘post referendum’ result world and any noticeable employment trend changes won’t fully appear until 29th March. That said, business leaders now talk less about the ‘uncertainty’ being felt, and more about a sense of matters being ‘unsettled’. This creates a challenge for business leaders – how can they plan effectively when even the politicians can’t shed any real light on how things will pan out over the coming weeks and months? However, if the last 12 months is any predictor for the year to come, hiring is still set to remain positive. This will be driven by two key factors: organisations remaining ambitious to seize the opportunities for growth within each of the markets they serve, and move towards adopting a more diverse geographical focus. It is this latter point that is particularly interesting. Indeed, business can no longer be thought of in local or even regional terms. With the global economy being more interconnected than ever before, globalisation presents an opportunity for some organisations to migrate away from being the proverbial fish in a saturated pond within their local market, to becoming a serious competitor on a world stage. The key challenge they will face in this scenario is the ability to search and find the right talent to grow their presence in these new markets. But this will be the same for all employers, irrespective of size or sector; talent shortages are likely to prevail in 2019, exacerbated by the decline in the numbers of people coming to the UK from across Europe at all levels. Our industry is awash with technological acronyms; AI – Artificial Intelligence, AR – Augmented Reality and VR – Virtual Reality. For those of a glass half full persuasion this is an opportunity to embrace technology, while the half empty may prefer to shy away and subscribe instead to ‘automation anxiety.’ Irrespective of which camp you fall in to, there are certain technologies that have the potential to take what the executive search sector does to the next level. For instance, companies such as Lloyds Bank, Openreach, British Army and Jaguar are already embracing VR for training and recruitment purposes, and its likely more businesses will follow suit as the technology continues to improve and become more accessible. But while VR in recruitment is creating noise at the moment, perhaps AR offers a more practical solution that can also add value to an employer or search firm’s brand position, attracting progressive candidates who appreciate those organisations embracing technology. As we approach mid-winter and the spring of 2019, the key factors to consider for a prosperous new year are globalisation, supporting an ever-changing business economy and working with technology to enhance working environments and nurture productivity. In return, this will help us all to retain and attract the best talent, as well as move our businesses forward. 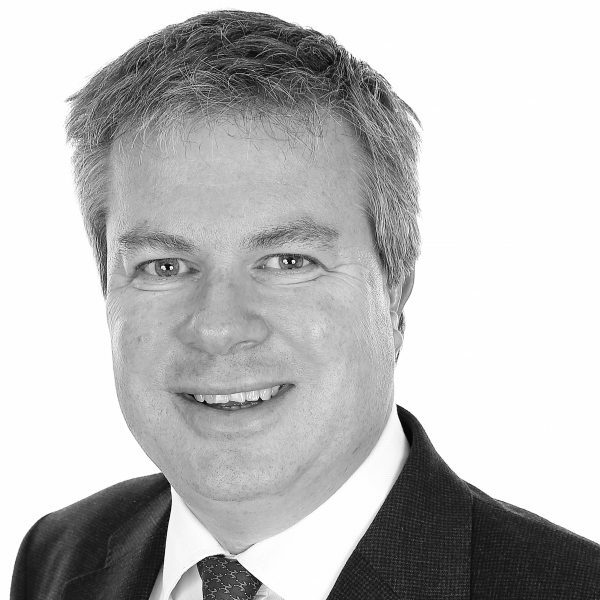 Justin has led Carmichael Fisher’s expansion from a single office in London to a 75-person international executive search firm with offices throughout Europe and the US, and year-after-year growth.